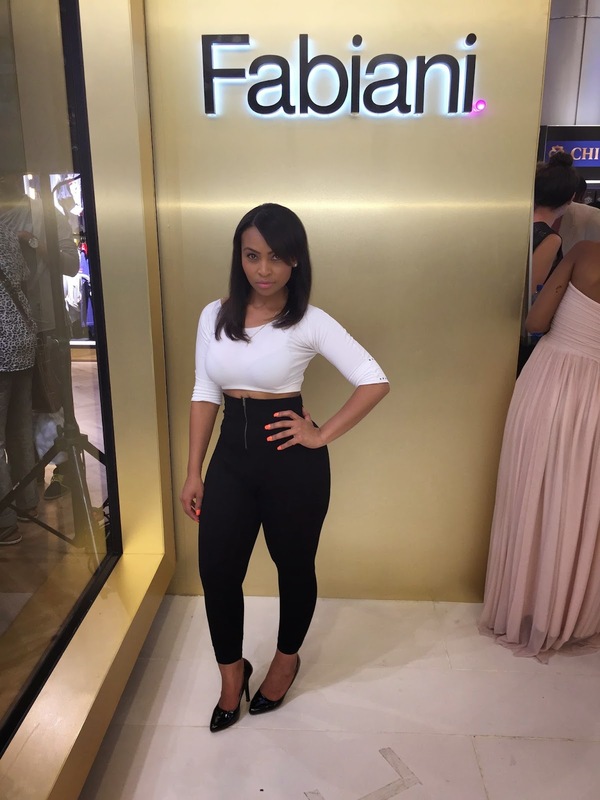 On Tuesday, 28 October 2014, Quinley and Melicia from the Swag Craze team attended the Fabiani Store Launch in Sandton City. The store is their new flagship store and offers an amazing sensory experience. 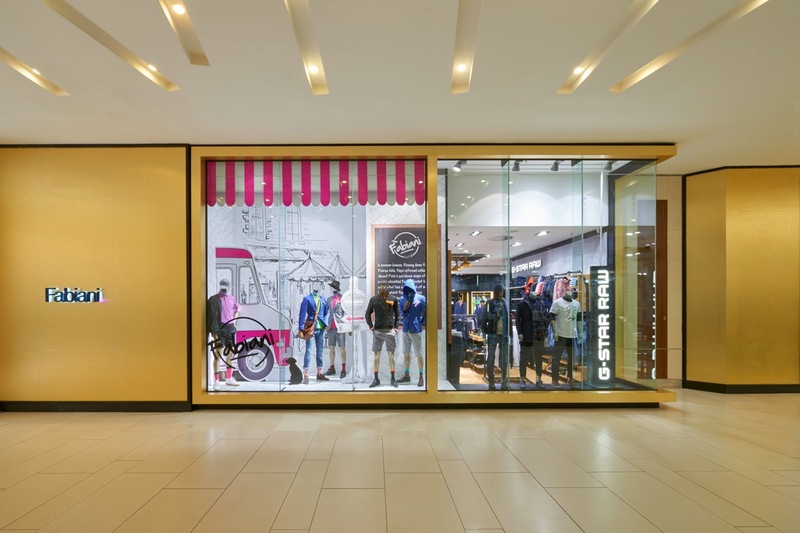 It is based in a shopping mecca for fashion aficionados and is one of the most valued in the brand’s current property portfolio, alongside the stores such as the V&A Waterfront in Cape Town. 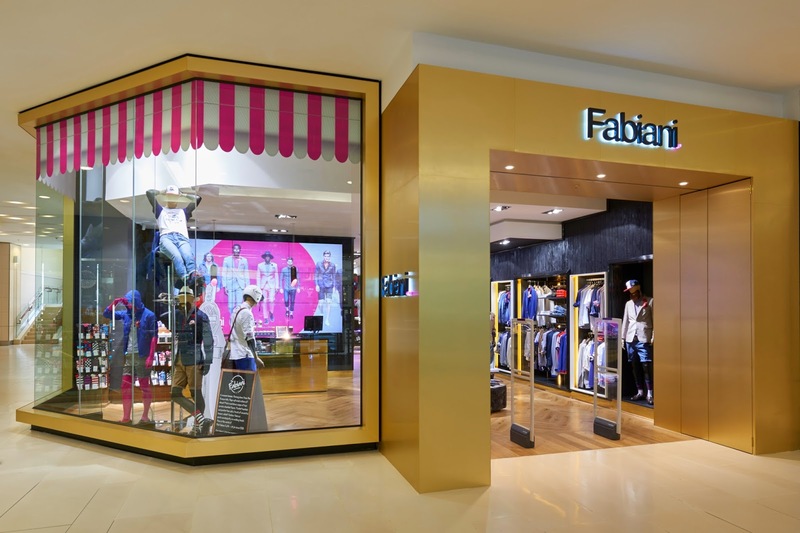 For Fabiani's existing Sandton City store to be translated into their exclusive flagship store concept it was necessary for it to undergo a major refurbishment. The redesigned store is pleasing; you get a warm and luxurious feeling from the moment you step in. As you enter the store, you walk through signature brass arches that compliment the expansive brass framed windows, which captures glamorous scenes from black tie affairs to cafe moments. Since the store offers a great sensory experience, you hear vibrant music and smell the fresh scent of COMME des GARÇONS Amazingreen. You also get to taste a glass of rich and multi-layered Chivas Regal 18. The store also has a bold new design feature which completes the sensory experience. 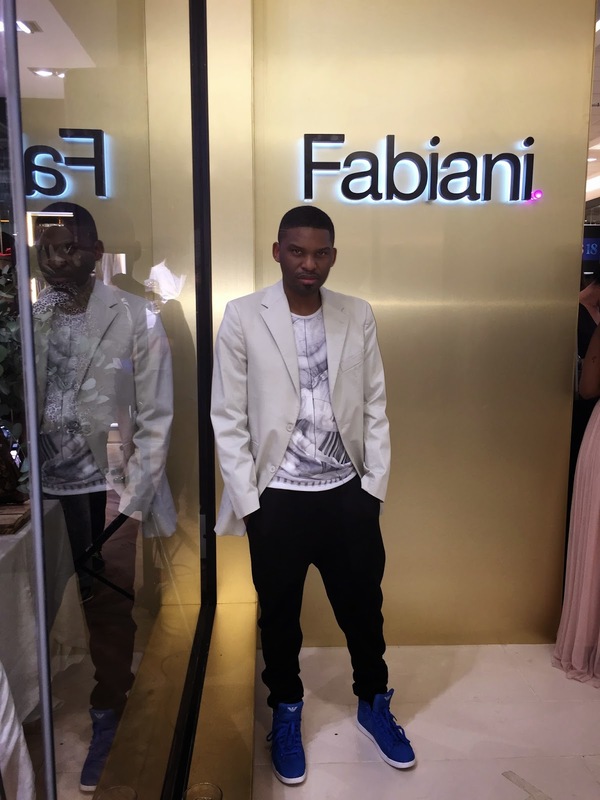 The new feature is the expansive and impactful media wall where the latest Fabiani fashion show, seasonal campaign and exclusive behind the scenes footage are streamed. The Sandton City store presents the full product portfolio from the spring 2014 collection including elegant formalwear, stylish weekend wear, handmade Italian shoes and signature accessories such as cufflinks, pocket squares and this season’s must-have – a Fabiani flower lapel pin. Slim fit chinos in cotton stretch twill sit alongside tailored blazers and bold golfers emblazoned with iconic Italian insignia are paired with Fabiani denim. Double compact poplin shirts take centre stage in plain and bright colours, bold and subtle patterns, all expertly finished with Fabiani signature detailing and contrast trims. Jackets in Italian Linens and Cotton come in textured stripes and ginghams with striking red and cobalt blue lining. The famous Fabiani slim fit wool stretch suit caters for both traditional purists and fashionable innovators. To compliment the Fabiani collection a carefully curated assortment of international brands are available in-store. 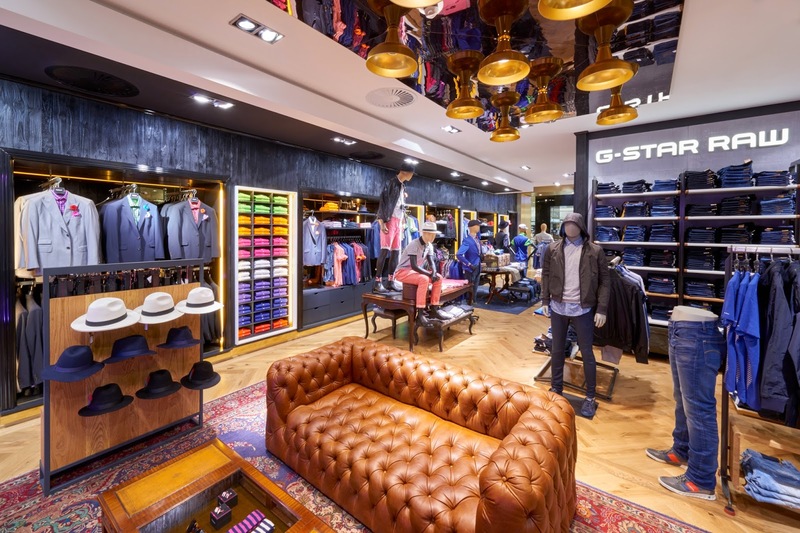 These include an exclusive collection from G-Star RAW located into a specially designated space, socks by Swedish brand Happy Socks and a fragrance collection by COMME des GARÇONS. The store’s lux wardrobe merchandising encourages you to contentedly browse and select pieces as you would in the comfort of your home. Imported mannequins dot the store, bringing the brand’s fashion vision to life in a quirky and eye-catching way. A halo lit shoe wall, achieved by glowing tubing in Fabiani’s signature pink, draws you in and invites you to relax on one of two specially commissioned Fabiani French Chesterfield couches. The spacious changing area boasts a tailors mirror and an iconic heritage wall celebrating style since 1978. Original Fabiani stores, campaign faces and members of the iconic team wallpaper the space, taking you back in time to the soul of the brand. 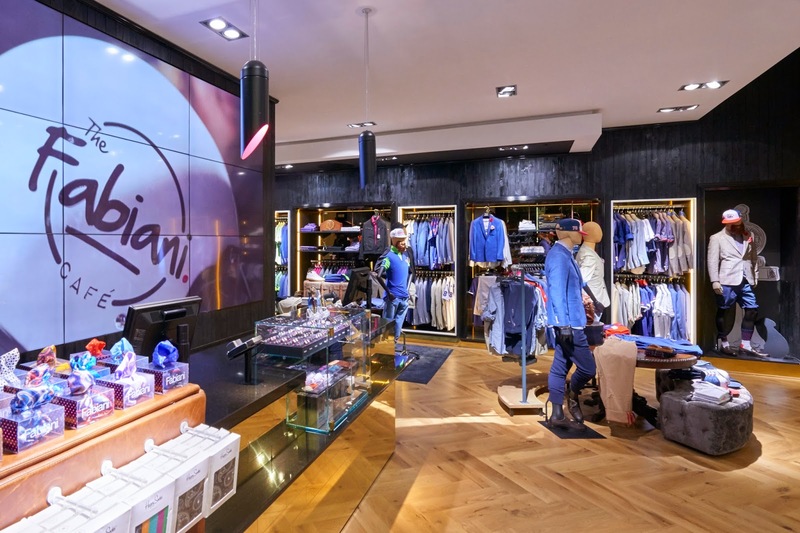 The Fabiani store in Sandton City offers a tailored experience to all their customers. They continuously refine their personalised service for which they are known for. Great attention is paid to the customer shopping experience with luxurious complimentary touches such as beautifully wrapped parcels; complimentary same day tailoring and shirts freshly steamed and placed inside Fabiani travel bags upon purchase. Attentive fashion consultants also walk you to the door with your purchase, shaking your hand and thanking you for your custom. 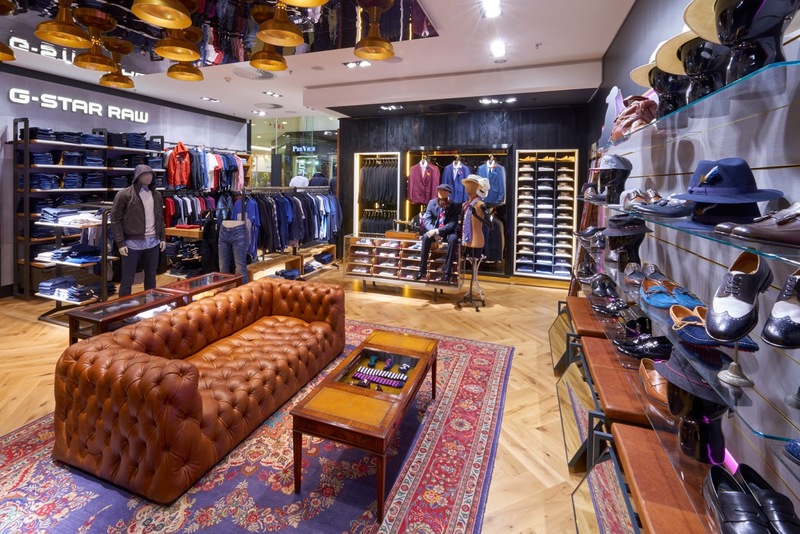 The latest flagship store concept and sensory experience will be rolled out to existing stores and will continuously evolve to match and exceed international innovation within the retail space. 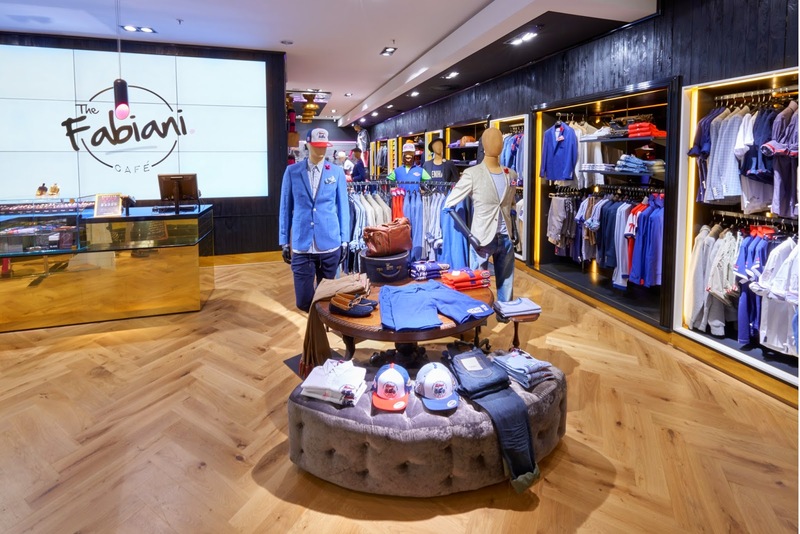 A local expansion strategy focusing on the careful selection of further key locations within South Africa sits alongside plans to expand across Africa, servicing the demand for Fabiani across the continent.